As a third-generation cattleman, Alan’s upbringing branded him a cowboy from the day he was born. 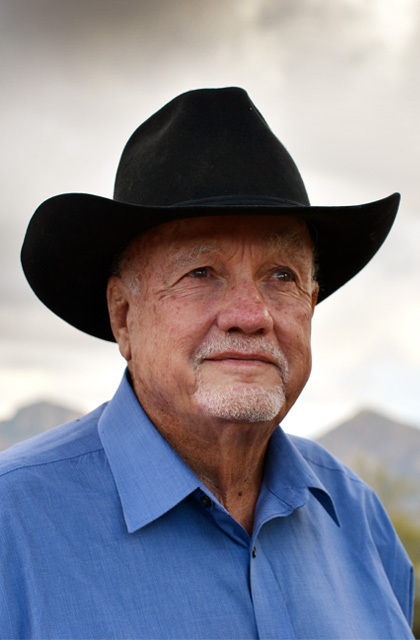 Growing up on his family’s historic 200,000-acre Lazy B Ranch, which straddled southern Arizona and New Mexico, cemented his love for the land and for horses. Ranching and the cowboy life was in his blood, so after graduating from the University of Arizona, he returned to manage the family’s Lazy B cattle operations for the next 40 years… along with two other massive ranches – one in Nebraska and another in South Dakota. Alan’s incredible adventures include a visit from actor Kevin Costner in his quest to find a great place to shoot “Dances with Wolves,” lobbying Congress to save 2,000 wild Mustangs, creating and operating the first wild horse sanctuary in the US, piloting his Cessna countless hours between his ranches to keep the cattle businesses thriving, writing several best-selling books (including one he co-authored with big-sister Justice Sandra Day O’Connor), and living the life of a modern-day cowboy and cattleman… without ever forgetting the traditions on which his family’s way of life was built. Saddle up and explore the 200,000-acre Lazy B ranch in this video.